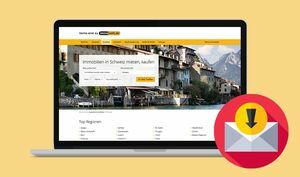 The automated e-mail import system for the Immowelt.ch portal is now available! Thanks to this new solution, requests made for your objects from the immowelt.ch portal are automatically imported into the Immomig® software. They are then directly visible on the "Dashboard" and if necessary, a contact is automatically created by the system by using all the relevant fields of the request. This tool thus becomes a real assistant to the processing of your requests! Don't wait any longer and offer yourself the automatic import of e-mails and therefore, a little digitization for all these processes that still take up too much of your time!